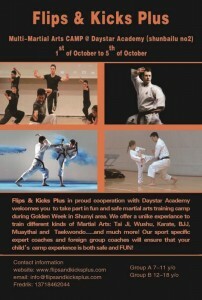 Flips & Kicks Plus in proud cooperation with Daystar Academy (Shun Bai Lu no2) offers your child a unique and fun experience to try different kind of martial arts during the October break. 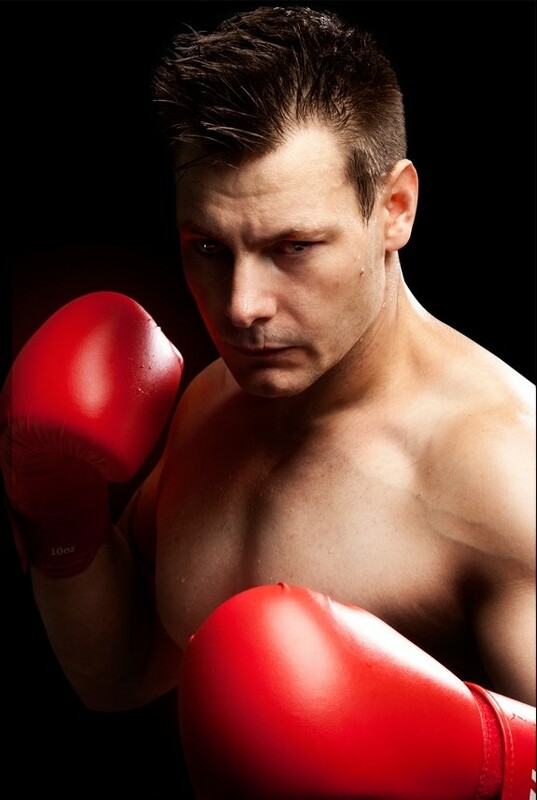 See and experience the difference between internal or external martial arts, experience martial arts from different countries, learn weapon forms, do everything from Taekwondo kicking to ground-fighting, learn value of discipline and curtesy when training…..and much much more. 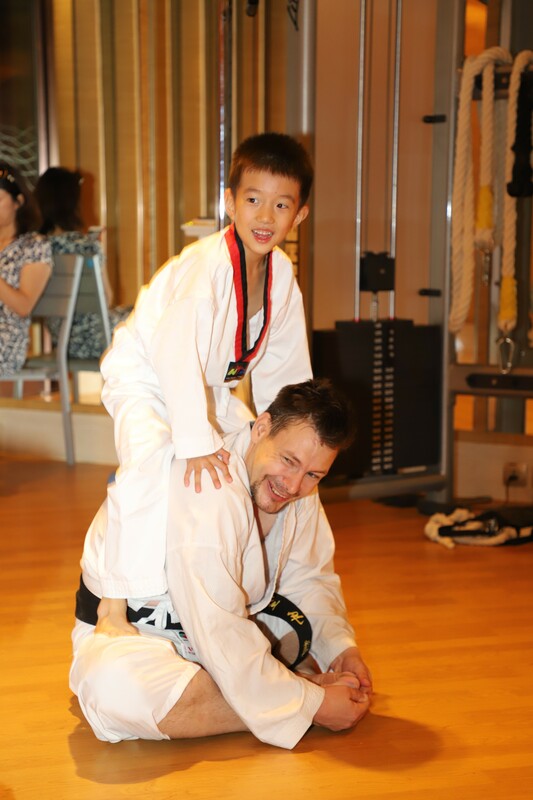 Flips & Kicks Plus expert coaches and co-coaches will ensure your child’s experience is both safe and FUN! - Flips & Kicks Plus reserves the right to change the schedule according to numbers of participants and use of locations. - In case of too few sign ups camp will be cancelled. TRANSPORTATION: Additional fee 50 RMB/day (BSB SLT/Lido/Daystar), full day only. Minimum 4 ppl for transportation or transportation will be canceled. 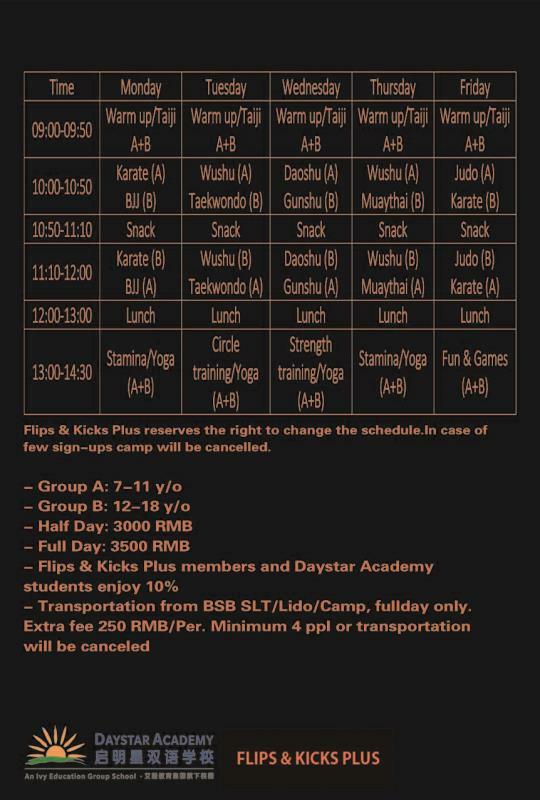 All current Flips & Kicks Plus members and Daystar Academy students will enjoy 10% discount on our camps. We will provide water (bring your own waterbottle please) and one piece of fruit per day. 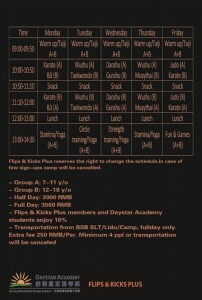 PRE-REGISTRATION: is made to info@flipsandkicksplus.com and CC to yderstrom@hotmail.com. SIGNED BY HAND REGISTRATION FORM/WEAVER SHOULD BE DONE FIRST DAY OF CAMP.